FRONT COVER PHOTO: Colorado River at the East Wetlands, a part of the Yuma Crossing National Heritage Area in Yuma, Arizona. Photo by Lisa D. Smith. Story on Page 10. BIG BLEND MISSION STATEMENT: Big Blend is a company based on the belief that education is the most formidable weapon that can be waged against fear, ignorance and prejudice. It is our belief that education starts at home and branches outward. Education leads to travel, and travel leads to understanding, acceptance, and appreciation of cultures and customs different to our own, and ultimately to world peace. Our company is further based on the principle that networking, communication, and helping others to promote and market themselves leads to financial stability; thus paving the way to better education, travel, and the spirit of giving back to the community. This magazine is developed by Big Blend Magazine™, copyrighted since 1997. No part of it may be reproduced for any reason, without written permission from Big Blend Magazine. Although every effort is made to be accurate, we cannot be held responsible for inaccuracies or plagiarized copy submitted to us by advertisers or contributors. It was a check in the positive and moving forward department of the plan. The result turned out to be about one thing: simplifying our lives. Less is more. By traveling light, you not only have a better chance of reaching your destination, you’ll get to truly experience the journey. 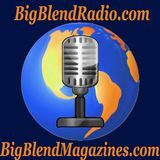 Take a listen to our Big Blend Radio conversation on change with Ralph Masengill, which aired less Making the change from being all cozy at home with a solid routine, to going back on the road to than a week before we started the tour. Along travel full-time on our Love Your Parks Tour, well, with some good laughs, we chat about the changes we had to make to go on tour, and the it was a big one. While we were riddled with consistent process of change. excitement, fear liked to sneak in the backdoor to tempt us with a nasty case of the “what ifs.” Let’s face it, moving generally isn’t fun. It’s tiring, emotional and hard work. But once you’ve gone through it, the new adventure begins. The new chapter starts its story. 233 4th Avenue, Yuma, AZ 85364 Toll Free: (877) 234-5567 Local: (928) 783-4453 Subscribe to our Captainâ&#x20AC;&#x2122;s log e-Newsletter for specials! We’ve been for covering Yuma for over 20 years, and now we’re proud to call it home. Stationed once again at the historic Coronado Motor Hotel, it’s the place we’ll circle back to when we need a rest from the road, and some downtime to do our production work. Talk about an ideal place to call our tour headquarters! Yuma is home to the Yuma Crossing National Heritage Area and is on the Juan Bautista de Anza National Historic Trail. Nestled between Phoenix and San Diego, its located along the lower Colorado River and on the border of Mexico and California. Of historic significance, this portion of the Colorado River was once a water highway and major crossing point at the narrows, which was the easiest place to cross into California. With the help of the local Quechan tribe, many crossed here throughout history including the Juan Bautista de Anza expedition, Butterfield Overland Mail Company, Mormon Battalion, and fortune seekers off to try their luck in the California gold rush. The Yuma Crossing National Heritage Area runs along the lower Colorado River and encompasses the Yuma Territorial Prison State Historic Park, Colorado River State Historic Park, the restored East and West Wetlands that offers birding, nature and outdoor opportunities, as well as Yuma’s charming historic downtown district that boasts historic buildings, museums, shops, restaurants, theatres and art galleries. Take a listen to our recent Big Blend Radio interviews with Lowell Perry Jr. - Executive Director of the Yuma Crossing National Heritage Area; Yvonne Peach - Historic Coronado Motor Hotel, Yuma Landing Bar & Grill and Yuma Historic Society Museum of Aviation and Tourism; and Donna George Owner of The Peanut Patch. GENERALS & GIANTS Kings Canyon and Sequoia National Parks A Love Your Parks Tour “Following in the Footsteps of Generals” story assigned by awardwinning military historian and author Mike Guardia, who talks with Big Blend Radio about the accomplished military careers of General Sherman and General Grant. Kings Canyon and Sequoia National Parks in central California are home to two of the world’s largest trees by volume, the General Sherman Tree and the General Grant Tree. In fact, these two giants are easily accessible by following the Generals Highway that connects the two parks, as well as the Giant Sequoia National Monument and Sequoia National Forest. The General Sherman Tree, reportedly the largest living tree on the planet by volume, is located in the Giant Forest in Sequoia National Park. It is approximately 2200 years old with its largest branch being seven feet in diameter. Every year it grows enough new wood to produce a 60 foot tree of usual size. It is over 275 feet tall and over 103 feet in diameter. Its weight is an estimated 1,385 tons and luckily, this tree is still standing. The General Sherman Tree was named after the American Civil War general William Tecumseh Sherman, in 1879 by naturalist James Wolverton, who had served as a lieutenant in the 9th Indiana Cavalry under Sherman. For more about California’s Sequoia Country, Porterville’s band history is also honored at the Porterville Historical Museum, where you can see visit www.DiscoverTheSequoias.com. band memorabilia and a life-size mannequin of Frank “Buck” Shaffer. A Love Your Parks Tour Shopping Story by Lisa D. Smith and Nancy J. Reid, assigned by travel writer Linda Kissam ‘Food, Wine & Shopping Diva, publisher of AllinGoodTaste.info As travelers, a farmers market provides a unique opportunity to soak up the local character and flavor of a destination. Why not load up your picnic basket with fresh fruits, produce and artisan goodies. How about some fresh cut flowers to liven up your hotel room or vacation rental? Or maybe some local art, jewelry or handcrafted gifts for your loved ones back home? From the seasonal offerings to the live entertainment and activities, there’s always something new and different to enjoy! Along with its magnificent and diverse array of parks, California is known for its agriculture, wineries, artisan foods and farm-to-fork offerings. We found four fantastic farmers markets which not only supplied us with a delicious bounty of fresh and local food for our park picnics, but also an enjoyable time getting to know some of the local farmers, artisans and purveyors. These four markets only represent local California and certified farmers, with many of them offering organic goods. FAMILY FUN & BAY VIEWS IN LARKSPUR Just 10 miles or so from Golden Gate Bridge, Larkspur is located in Marin County which is home to Golden Gate National Recreation Area, Muir Woods National Monument and Point Reyes Seashore. Overlooking Sir Francis Drake Boulevard and offering beautiful views of the Bay, Marin Country Mart is a wonderful boutique shopping and dining destination. Held every Saturday morning (rain or shine), their Farmers Market makes for a fun family outing with great activities and entertainment for the kids, fantastic brunch venues, and a nice array of purveyors offering local produce, flowers, seafood, eggs, baked goods and more. Info: http://MarinCountryMart.com/farmers-market Enjoy your farm fresh picnic in the park! Sir Francis Drake sculpture by Dennis Patton in Larkspur, CA A Love Your Parks Tour “English Connection” Story by Lisa D. Smith and Nancy J. Reid, assigned by Glynn Burrows of Norfolk Tours UK . From the 30-foot tall steel statue on Sir Francis Drake Boulevard in Larkspur to Drakes Estero, Drakes Bay, Drakes Cove, Drakes Beach and Sir Francis Drake Historical Monument in Point Reyes National Seashore, it’s evident that Sir Francis Drake, the English sea captain and explorer, made his mark in Marin County, CA. It was in the summer of 1579, during his circumnavigation of the world, of which he famously completed in a single expedition between 1577 to 1580, that Drake came ashore what is now known as the Point Reyes headlands. He needed to repair the hull of his ship, the Golden Hinde. It was here, the ancient home of the Coast Miwok, that Drake and his crew claimed California as Nova Albion, “New Britain,” for Queen Elizabeth I. While exploring America’s west coast, he also managed to kick off an era of conflict with the Spanish. Drake’s privateering led the Spanish to brand him a pirate, known to them as El Draque, “The Dragon.” The Spanish had been sailing the Pacific Coast and exploring North America to expand their territory for a number of years. Sir Francis Drake On January 6, 1603, Point Reyes officially became part of Spanish maps when the soldier Sebastian Vizcaino saw the region. It was during the Roman Catholic feast day of the three wise men, so the foggy coastal headlands were traditionally named after the religious figures, "la Punta de los Reyes," the Point of the Kings. An Impromptu Picnic Led Us to a Super Nature Spot! A Love Your Parks Tour Family Picnic Story assigned by Ruth Milstein, author of the Gourmand award-winning cookbook, “Cooking with Love: Ventures into the New Israeli Cuisine.” It was in the middle of spring and we were driving south on Highway 95 from Yerington, Nevada to Yuma, Arizona. Leaving before dawn, we decided we would find a park or someplace nice to have a picnic brunch along the way. After all, our cooler bag had leftover pizza from Dini’s Lucky Club and cookies and brownies from The Bakery Gallery, and as usual, a chilled bottle of bubbly. It was an interesting drive past Walker Lake and through the historic mining towns of Goldfield and Beatty. We even saw bighorn sheep, wild horses and burros along the way. Along with being home to the mysterious Devils Hole that’s over 500 feet deep, the Refuge is also the largest remaining oasis in the Mojave Desert and recognized internationally as an important wetland. There’s a Visitor Center, boardwalks to stroll along, picnic spots, and plenty of bird watching opportunities. Once in the refuge, we followed Point of Rocks Road to the picnic area, and then strolled the boardwalk to the turquoise blue Kings Spring (pictured). The spring was alive with pupfish, dragonflies and a little bat that was out hunting for bugs. Talk about a true desert oasis! We enjoyed our picnic in the shade of a ramada while watching the birds, and taking in the views of wildflowers swaying in the gentle breeze. Of course, we need to return to explore the hiking trails and other marshes and springs, and to see Devils Hole. Maybe we’ll get lucky and spot the big horn sheep! Have fun with our Online Jigsaw Puzzle of Kings Spring at Ash Meadows on NationalParkTraveling.com. Founded in 2004 as a partnership between the University of Arizona and the Moody Garden Makers Club, this 1.7 acre garden encompasses a Children’s Garden, Cultivated Plants Garden, Emblem Garden, Healing Garden, Native Plants Garden, Tropical Garden, Vegetable Garden and Xeriscape Garden. With numerous interpretative signs, it’s a treasure trove of garden information designed to educate locals and visitors of all ages, about what grows in the Yuma. The Garden brings the community together to learn, volunteer and enjoy the beauty of plants. As you can hear in our Big Blend Radio with master gardener Marylou Milstead and Bill Moody, it’s only fitting that it is named in honor of Robert J. Moody. He led a life of excellence with integrity to his work, consistent contribution to community, and dedication to youth education. The Healing Garden showcases plants with medicinal qualities. Experience the Colorado Riverfront & An Abundance of Birds and Blooms A Love Your Parks Tour #OneHourWalk Story by Nancy J. Reid and Lisa D. Smith, assigned by Dr. Jacqueline Eubany, author of the best-seller “Women & Heart Disease: The Real Story.” Every time we visit Yuma, Arizona we go for a sunrise walk in West Wetlands Park. This 110acre park runs along the beautiful lower Colorado River and is only a few blocks from the Historic Coronado Motor Hotel, our Love Your Parks Tour headquarters. An ideal #OneHourWalk in the park starts at the fishing pond, and leads you down to Centennial Beach boat launch and picnic area, and west along the cottonwood and willow tree shaded riverfront. Keep your eyes peeled for southwestern willow flycatchers, yellow billed cuckoos, and waterfowl such as moorhens, anhingas, egrets, herons and ducks. You may even get lucky and see beaver like we did a few days ago! West Wetlands Continued… From the gardens you can cross over to the Stewart Vincent Wolfe Creative Playground and back to the fishing pond that’s a popular hangout for grackles, doves, ducks and geese, as well as an occasional osprey, heron or egret. There are ramadas and shaded bench areas throughout the park, as well as playgrounds, a dog park area, multi-use trails, 9-hole disc golf course, and clean restrooms. Have fun with our West Wetlands Park Online Jigsaw Puzzle on NationalParkTraveling.com. A ‘Love Your Parks Tour’ Law & Order Story by Lisa D. Smith and Nancy J. Reid, assigned by San Diego employment attorney Ward Heinrichs. A stroll through a cemetery can reveal clues to mysteries and unlock stories about the people and times passed on. These two particular “resting places” in southeast Arizona bring to life the gunslinger shoot-outs and hangings, all vestiges of the “old west”. WILLCOX HISTORICAL CEMETERY Just a short walk from Railroad Avenue in Willcox, there is an historic cemetery where about 90 or so people were buried between 1880 and 1918. Warren Earp, the youngest of the Earp brothers, is buried there. He died in a shoot-out on July 6, 1900 at Henry Brown’s Headquarters Saloon. Not only can you visit his resting place, you can go downtown, stop in at the Flying Leap Vineyards Tasting Room & Art Gallery, where he was actually shot. Most of us recognize the names, Wyatt, Virgil and Morgan Earp, from the O.K. Corral, Tombstone gun battle. Right after the infamous shoot out, Morgan Earp was assassinated and Virgil was critically wounded. Wyatt blamed arch-enemies, the Clanton’s and McLaury’s, and commandeered the help of Warren and Doc Holliday to exact revenge. After killing the two men, Wyatt, suspected as being behind his brother’s murder, fled to Colorado with Doc and Warren to evade the law. Later Warren returned to Arizona, only to meet his demise at the hand of John Boyett, a longtime adversary. Boyett was considered innocent on the grounds of self-defense, and it was said that Warren was an abusive bully and a loudmouth. Another interesting grave is that of Bill Traynor who was shot by Bill Downing in Tom Fulghum’s Saloon on Maley Street in May 1899. This was ruled self-defense as both parties had threatened the life of the other over cattle branding issues. The cemetery is the resting place for a mix of bandits, prostitutes, and lawabiding citizens. You’ll also find the graves of Wyatt Earp’s arch enemies, members of the Clanton and McLaury gangs, as well as some of the “cowboys,” a loosely organized group of outlaws that rustled cattle and robbed stagecoaches in Virgil Earp’s territory. Billy “The Kid” Clayborne (or Claiborne), age 22 lies here. He adopted the nickname following the death of the more famous “Billy the Kid,” William Bonney, in 1881. Clayborne was with the “cowboys” at the O.K. Corral gunfight, but fled when the shooting began. He was killed by Buckskin Frank Leslie with a single shot to the chest, a little over a year later, outside the Oriental Saloon in Tombstone. This was the result of an argument that began earlier, with Leslie’s refusal to refer to Billy as “The Kid.” Later, after murdering a couple of other people, Leslie ended up in Yuma’s Territorial Prison. There are rows of gravestones for those who committed suicide, succumbed to disease, died from mining accidents, were hanged, and those killed by Indians. A Scenic Route of Art, Nature and Mining History A ‘Love Your Parks Tour’ Public Art Story by Lisa D. Smith and Nancy J. Reid, assigned by contemporary figurative artist Victoria Chick. We saw the first Ore Cart sculpture commissioned for the trail at Mammoth Miners Memorial. When on the road, if there’s a park, landmark, sculpture or roadside attraction, we tend to pull over. The life-size “Skeleton Crew Graveyard Shift” sculpture was by former mine worker and Oracle sculptor, Jerry Parra. The sculptures, monuments and relics in this small park all honor the miners who lost their lives during the decades of copper mine operations in San Manuel, St. Anthony and Tiger. There are also interpretive signs sharing the mining history of the region. Penny for Your Thoughts by Nancy Dunst, in Winkleman Next to it is “Adobe” which was inspired by the river and sculpted in a free-form with the use of natural resources, all hand mixed by local artist Thomas Ray Sims. This region is scenic with mountain ranges, saguaro cactus, and the San Pedro and Gila Rivers. Along with other historic sites and attractions, there’s also Tonto National Monument and Roosevelt Lake near Globe, and Boyce Arboretum State Park near Superior, to explore. A Love Your Parks Tour Story by Nancy J. Reid and Lisa D. Smith, assigned by Lance Laber, Executive Director of DeGrazia Gallery in the Sun In an effort to catalog and label for marketing convenience, artists, writers and musicians, are often pigeon-holed and expected to abide by concepts and rules that their creative spirits rally against. Main stream radio dictates not only what a musician should sing, but what the listeners should hear; TV shows copy each other, looking for a formula that advertisers feel will sell their products, and that’s what you get to watch; and galleries determine what is good art and what is not, based on what they feel they can sell. Ettore “Ted” DeGrazia was one independent and creative spirit, that not only defied the rules by doing everything his own way–but he made money at it. He was well educated, knew the rules, but decided to paint the way he wished to paint, on whatever surface he chose to paint, with whatever materials he wanted. He experimented tirelessly with different mediums and left a legacy of artwork, music, writings, and a gallery where his defiance can still be felt. As a young artist, DeGrazia struggled. He supported himself as a musician and landscaper to put himself through the University of Arizona. Even though he educated himself and Arizona Highways published articles about him; and he served as an apprentice to both Diego Rivera and Jose Clemente Orozco in Mexico (who sponsored his successful art show at the prestigious Palacio de Bellas Artes); DeGrazia still did not impress the local Tucson art galleries. But, this did not stop him. Intent on painting his way, DeGrazia gathered his Indian friends and built the DeGrazia Gallery in the Sun. His gallery is a great reflection of his independent spirit and personality. Defying the look and feel of most other galleries, it has something of interest everywhere you look. The adobe walls, the cholla cactus and rock floors, cases of jewelry, ceramics, room after room of paintings, the iron doors at the front, the Mission in the Sun, the DeGrazia home, the Little Gallery used for displaying other artists’ work–are all set on ten acres of gardens in the sunny Arizona landscape DeGrazia loved the most. “The gallery was designed by me. I wanted to have the feeling of the Southwest. I wanted to build it so that my paintings would feel good inside.” – Ettore “Ted” DeGrazia DeGrazia seemed to have had an engaging personality that the media and celebrities liked. His media presence most likely led to his “Los Ninos” oil painting being chosen by UNICEF in 1960. It was reproduced as a holiday card that sold millions worldwide. From that point on, his gallery thrived with thousands of people visiting and buying his work. He was an artist for the people. Yuma Landing Bar & Grill Come Eat, Drink & Be Merry where the First Airplane Landed in Arizona! Win! Win! Win! 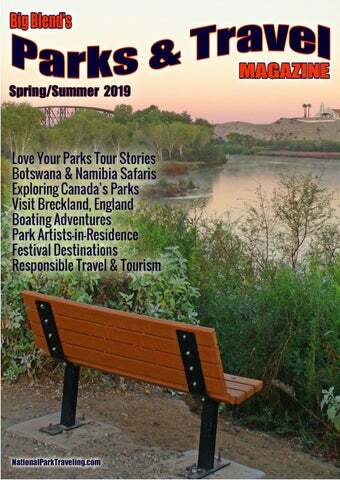 Sign up onYumaLanding.com for our Captainâ&#x20AC;&#x2122;s Log e-Newsletter and you will be entered into our monthly drawing for a $25 Yuma Landing Gift Certificate, plus you'll get news on other great giveaways, specials, Yuma Landing recipes, events news & more! Located on the same property as the Historic Coronado Motor Hotel, the Yuma Landing Bar & Grill is the site where the first airplane landed in Arizona, and features a state monument, historic photos and memorabilia. Groups of 15 or more diners get a 15% discount on breakfast, lunch and dinner. All Military Personnel Receive a 20% Discount on Meals! A Love Your Parks Tour Literary Story by Lisa D. Smith and Nancy J. Reid, assigned by the team at JKS Communications. You can also see some of the book’s recipes on BlendRadioandTV.com including: Potato Tacos, Pepper Steak, Morning Glory Muffins, and Apple Pie Dessert. The Historical League’s mission is to raise funds for and promote the Arizona Heritage Center at Papago Park in Tempe, to promote Arizona history, and to provide a lasting tribute. Historical League is a 501(c)(3). “Tastes & Treasures II” is available on Amazon and at www.HistoricalLeague.org. An Arizona National History Day Project by Drew Devine and Vir Dolasa-Sahani A Love Your Parks Tour Youth Success Story by Nancy J. Reid and Lisa D. Smith, assigned by Bobbi DePorter, Co-founder of SuperCamp and President of Quantum Learning Network Arizona National History Day is a program that makes history come alive for students and teachers by engaging them in the discovery of the historical, cultural, scientific, and social experiences of the past. There’s something magical about the early morning solitude on the water. Watching the sun slowly make its way above the horizon as the sky turns shades of pink, red, and orange is breathtaking. Sitting on the bridge of our 34’ catamaran Saltwater Gypsea sipping a cup of coffee this scene plays over and over again wherever we might find ourselves - along the East coast of the US, or in the Bahamas. Jim grew up on the island of Guam in the Pacific. At 15 he sailed from Guam to Long Beach, California on a 27’ Cheoy Lee with the father of a friend and his son. The sea is so much a part of both of our lives and plays an integral role in our work as freelancers. 2013 was a turning point for us as we sold our Virginia Beach home and moved aboard our newly purchased 47’ sailing catamaran, Indigo, in Norfolk, Virginia. We certainly did not sit idle at the marina dock we took one to two-week sailing trips up and down the Chesapeake Bay, getting our two dogs used to sailing and life onboard. But we were feeling the tug to get back over to the Bahamas. For boaters and tourists alike the local beach bar is like the post office: a place to meet and chat. The locals love to share their slice of paradise and will direct you to some of the favorite hangouts. We’ve met some fascinating locals this way. At Man-O-War Cay we met Andy Albury, a local woodworking artist who comes from a long line of boat builders, dating back to the 1800s. Andy took a liking to Jim and I, and we spent many an afternoon just hanging around his shop and talking. We met Kevin Macintosh, lead guitarist for the Gully Roosters at the Bluff House Marina and Resort on Green Turtle Cay. Kevin chatted about his passion for music and the unique sound of the Gully Roosters, the #1 Band in the Nation. After several years of sailing on Indigo, we made the hard decision to sell her in 2017. We had made a permanent move into a home on the water in Florida, and Indigo did not fit our current lifestyle. Where We Are Now Our adventures continue onboard our 34’ power catamaran Saltwater Gypsea. Gypsea has undoubtedly spoiled us, as she has so much room, a gorgeous galley area, watermaker, and washer onboard. Boating Continued… We were even able to see the wreck of the Northwind, a Mel Fisher Treasure Salvor’s salvage vessel that went down while working on the Atocha find off the Marquesas. Once on Garden Key, you’ll have a chance to explore the Fort, sunbathe, and snorkel the Fort. The visibility is usually good, and the day we were there we saw a Goliath Grouper, a school of tarpon, a collection of reef fish, and lots of lobster. It is breathtaking to see coral fans, so many species of fish, the occasional lobster or octopus and other sea creatures that call the ocean home. Merritt Island National Wildlife Refuge - Located on Florida's largest barrier island which it shares with NASA's Kennedy Space Center. More at https://www.fws.gov/refuge/Merritt_Island/ Kathleen Walls is publisher/writer for American Roads and Global Highways at www.AmericanRoads.net. Her articles and photographs have appeared in numerous magazines and online publications, and she is the author of multiple travel books. Bison in Yellowstone National Park Listen to the Big Blend Radio interview with Thomas Winston and Shasta Grenier Winston, the husband and wife directorial team behind EPIC YELLOWSTONE the new Smithsonian Channel series from Grizzly Creek Films, that offers a front row seat to the extraordinary spectacle of wildlife and dramatic seasonal extremes in the iconic crown jewel of America’s national parks. “Yellowstone is a magical landscape that has a special and emotional place in the American psyche,” said David Royle, EVP and Chief Programming Officer, Smithsonian Networks. For viewing dates, times and outlets, visit www.GrizzlyCreekFilms.com and www.SmithsonianChannel.com. Overlooking-Saguenay-Fjord Saguenay Fjord National Park called Parc National du Fjord-du-Saguenay by the Frenchspeaking locals is a place where salty sea water collides with fresh, clear Canadian waterways. Where tall granite cliffs and glacier-gouged gorges disappear into the playgrounds of beluga, minke, blue and fin whales. Into this transition area where the boundaries of ecosystems overlap, came the French in the late 1600s. The culinary traditions they brought with them fused with the Indigenous peoplesâ&#x20AC;&#x2122; wild food harvests of blueberries, wild grapes and smoked meats. Today you could spend weeks exploring the vast 78,900-acre park while crossing back and forth over the convergences of sea and fresh water, traversing around edges of mind-blowing geological formations and crisscrossing the fine line of where culture has eked outposts in the Canadian wilderness over the past three hundred and fifty years. National Geographic named the trail system at Saguenay Fjord National Park one of the world’s ‘Top Walks and Hikes’ with its unique ecosystems and proximity to authentic auberge inns being a few of the reasons cited for the commendation. Indeed, the park’s focus on preserving wildlife and organizing outdoor activities makes it easy for hikers, bikers and kayakers to experience the backwoods by day and sample French Canadian cuisine and sleep in chalets by night. Marine Shuttle Service One reason for the ease of navigating from wild to tame is the fjord’s marine shuttle, which is a hop-on, hop-off water taxi that services trailheads, marinas and charming villages that offer world-class dining. Some use the boat service to shuttle their bikes from shore-to-shore as they peddle the 270-mile cycling route that skirts the Saguenay River. Kayakers shuttle their kayaks, while backpackers board at the National Park and are dropped off at remote trailheads. Others come aboard the bateau mouche, known as such because of its retractable roof and windows, to experience the park from the water on a roundtrip excursion. We enjoyed the oneand-a-half hour voyage from the National Park at Baie Eternite, upstream to the cliffside NotreDame-du-Saguenay statue and then downstream to L’Anse-Saint-Jean where we spent the night at Chalets du le Fjord hotel and had a splendid meal at Chez Montagner, a new restaurant by a Quebec City restaurateur. Charming village of L'Anse-Saint-Jean Quebec from deck of marine taxi Saguenay Continued… Traverse the Edge: Via Ferrata Other outdoor activities organized within the park are Via Ferrata courses. Climb along the edges of incredible glacial cliffs, and all the while be clipped into safety harnesses and steel cables. Via Ferrata, Italian for “Iron Path,” steers adventurers along giant adrenalin rushes above Saguenay Fjord. Adrenalin enthusiasts scramble along the cable course embedded into the tall cliffs of Baie Eternité located right in the park. The guided adventure utilizes three circuits: • La Passerelle / The Walkway for beginners. • La Grande Dalle / The Large Rapids – in four hours, intermediates will traverse a 650-foot high, vertical wall to climb a 30-foot inverted ladder and then cross over a steep gorge on an almost 280-foot long suspension bridge. • The 6-hour L'Odyssée / The Odyssey advanced tour includes everything on the intermediate tour and then some. Thrill seekers tight-rope walk over a 56-foot long Nepalese bridge to another part of the park which offers the highest peaks of Saguenay Fjord National Park. The Nepalese-style bridge has a single cable on which to walk and another single cable at head-height to clip onto and hang onto for balance. Span the boundaries of earth and sky from June through the first week in October. For reservations call 1-800-665-6527. “Unstoppable Stacey” Wittig is a travel writer based Sidebar Information in Flagstaff, Arizona. Enjoy this article? Then follow Saguenay Fjord is one of the most southerly her on Instagram at Unstoppable Stacey or online fjords in the Northern Hemisphere and one of at www.unstoppablestacey.com longest in the world. The 65-mile-long fjord, a narrow glacial carved valley filled with salt water, is located in the Saguenay-Lac-St-Jean region in central Quebec and attracts visitors from around the world. The Saguenay Fjord is a tributary of the Saint Lawrence River. Its head is at the City of Saguenay, which includes the boroughs of La Baie, Chicoutimi and Jonquière. Getting there Fly to Montreal and take the train to Jonquière or fly to Bagotville airport and taxi to Saguenay Fjord National Park (about $30 CAD.) BaieÉternité, Rivière-Éternité Sector is 44 miles from Chicoutimi. Other options include riding the marine shuttle, which operates from the end of June to the beginning of September, from La Baie to the National Park. Dungeon Provincial Park Travel writer Nancy Mueller, publisher of www.WanderBoomer.com, talks with Big Blend Radio about her Newfoundland park experiences including Derm Flynn Riverfront Peace Park, John Cabot Municipal Park and Dungeon Provincial Park. Gros Morn National Park Outdoor adventures and natural wonders abound at Gros Morn National Park, a UNESCO World Heritage Site covering 1,805 square kilometers on Newfound’s West coast. Hikers, history buffs and cultural heritage enthusiasts can experience a wide-range of activities and attractions within this historic park. Terra Nova National Park Hiking, paddling and panoramic views await visitors to Newfound’s most Easterly National Park. Its boreal forest features coniferous trees, wetlands and wildlife such as black bear and moose. Situated in the East of England and just a short drive from London, Breckland in Norfolk, has miles of forest walks, medieval ruins, familyfriendly fun, big skies and breath-taking countryside. The Brecks has many sorts of natural habitat, with small reserves and parks, right up to Thetford Forest which covers 20,000 hectares and is a perfect place for getting out into nature. There are many footpaths and cycle-ways in Breckland, including many in Thetford Forest itself. Breckland Continuedâ&#x20AC;Ś The area has many rare species and many of the reserves here, are managed to retain and improve the habitats, so we will have amazing wildlife for generations to come. Our timber-framed buildings, some still with their thatched rooves, just add to the charm. The area is a delight to photographers, artists and any visitor who simply loves to be surrounded by beautiful, tranquility. Thomas Paine, was born in Thetford and was one of the founding fathers of the United States. The parents of Howard Carter, the man who discovered the tomb of Tutankhamun, both came from Swaffham; Edward Coke, the man who tried the Gunpowder Plotters, and George Borrow, Henry Rider Haggard, and our famous Queen Boudicca, are all people associated with The Brecks. I am both repelled and fascinated by crocodiles. Their fearsome reputation precedes them and the fact that they outlived the dinosaurs has given their species legendary respect. No one wants to mess with a croc, but many people will seize the opportunity to view one up close, particularly within its natural habitat. per square inch) and ability to overpower much larger prey (via the “death roll” maneuver), I averted my eyes and graciously allowed the coldblooded creature to win this unnerving staring contest. The African elephant can be identified by its ears. Created in 1967, Chobe National Park occupies a diverse landscape, encompassing floodplains, swamps, grasslands, thick scrub and woodland. The multitude of habitats offer shelter for one of the greatest concentrations of game on the African continent. This world-renowned Eden is home to nearly 120,000 African elephants who dominate the park. Buffalo are equally numerous, along with a healthy population of lions in residence. Though their skin is thick, it is sensitive to the sun. In order to protect it, these creatures will cover themselves in mud or dust, typically after they’ve cooled off in the water. Observing elephants during one of these refreshment recesses was a constant source of amusement for me. They were so playful, especially the young ones, who would mimic the behavior of their mothers as they showered themselves with water and then rolled in the dirt. Most visitors to Chobe do a traditional jeep game drive in the park in order to spot the Big Five: lion, elephant, giraffe, buffalo and rhino, though the latter are increasingly difficult to find. It’s not uncommon to see a herd of elephants crossing the road in front of your vehicle, on their way to the river. In linear fashion, led by the matriarch, these creatures move with a one-track mission, gaining in speed the nearer they get to the water’s edge. You can feel the ground shake as they thunder past and their enormous mass is a thing of awe. It was heart-warming to see how the adult females or cows took care of the calves. They were constantly vigilant, taking turns serving as lookouts at the watering hole and positioning themselves in the front and rear of the herd when it was on the move. And if they sensed any threat, they quickly formed a circle around the calves to protect them. There was also obvious respect for the elder matriarchs, shown by the deference of the others in regards to their leadership. It was a special treat to view this closely-knit society in action up close. Lion camouflaged in the bush. With their golden-colored coats, they easily blended into the surrounding vegetation. Their kin, the leopards, are also known for being inconspicuous. I felt very fortunate to see not one, but two of these handsome cats. The first appeared to be napping, while draped languidly over a branch, making it a challenge to separate the animal from the tree limb. The other, however, lay on the ground in all its photogenic glory, confident in its star power and stature. Chobe Continued… Buffalos and hippos are given a wide berth in Africa, as both are deemed aggressive and dangerous. The buffalo, in particular, has a reputation for its unpredictable nature, and in a herd, these animals act as a unit with a mob mentality when it comes to dispensing with any kind of threat. For causing more human deaths a year, the notoriety goes to the hippo. These creatures are extremely territorial and will defend their section of the river from perceived intruders, such as fishermen. And despite their short, fat legs, they can run faster than a human. Hippos are considered aggressive and dangerous. We watched a pair of hippos sparring with one another in the water. Though they appeared intent on achieving dominance, our guide told us this was merely a warm-up to gauge strength. When they are ready to really go at it, the animals will fight to the death. There’s a wealth of birdlife on Chobe River with over 450 recorded species. My head was whipping back and forth at warp speed trying to keep up with all the sightings. We spotted African spoonbill, cormorant, yellow-billed stork, African skimmers, kingfisher, ibis, African fish eagle and African jacana, and more. The fish eagle has such a familiar and clear call that is often known as the “Voice of Africa,” whereas, the jacana is called the “Jesus Bird” because it can walk on water. Baboons roam the landscape in hierarchical, male-dominated troops and there are warnings posted everywhere about their combative and confrontational behavior. And beware those terrifying teeth! These animals are so obsessed with status that they are always on a hair-trigger for aggression, and they’re constantly duking it out with each other. They’re also consummate thieves, with amazing adeptness. Creepiest of the Ugly Five, in my opinion, are the vultures and hyenas – an attitude most likely developed from too many viewings of the “Lion King” with my kids years ago. This impression, though, was cemented in living color, as I watched both creatures greedily scavenge off the carcass of an elderly elephant on the river banks. The disturbing scene was akin to something out of a nightmare, but, it was, as our guide reminded me, just part of the circle of life. Everyone touts the Big Five in Africa –the lion, leopard, rhino, elephant and buffalo. They’re the photogenic celebrities of the savannah that travelers yearn to see on safari. And as each is sighted, you can almost hear the sound of a checkmark being made on the proverbial bucket list. But, there’s another group of creatures who fly way below the radar, yet deserve attention for their own star-studded qualities. The Little Five of the Namib Desert consists of the lizard, snake, gecko, chameleon and spider. These creatures live in the world’s oldest desert, covering an area of around 31,000 square miles. It’s an arid place, receiving as little as a half an inch of rainfall a year with temps that reach up to 113 degrees Fahrenheit. For anything to survive in these extreme conditions, it would need to have cleverly adapted over the millennia. Being unskilled in this detective-like endeavor, I opted to join a Living Desert Safari with Batis Birding Company. The tour, which departed from the coastal resort of Swakopmund, promised an up close and personal experience with desert life along the eastern part of Namibia’s major sand dune belt within Dorab National Park. The country’s grand dunes are world famous and a definite highlight for visitors, who enjoy climbing them for the stellar views they provide of the starkly beautiful Namib Desert…and, of course, for the bragging rights they gain from their accomplishments! Palmato Gecko Namibia Continued… The name Namib comes from the local Nama language and roughly translates to “an area where there is nothing.” As far as wildlife is concerned, however, this couldn’t be further from the truth. What appears to be a sandy, barren wasteland, is actually home to a host of creatures that crawl, hop and slither across the “dune sea.” The first of the Little Five that we got to see on tour was the Palmato Gecko, a colorful nocturnal nomad, who spends most of the day burrowed under the sand. It uses its webfeet to dig holes for its home. These special feet, which also have adhesive pads, allow it to run at great speeds and to ascend the dunes with ease. The gecko’s translucent skin provides excellent camouflage against predators and its large lidless eyes are ideal for spotting prey. The eyeballs capture moisture, too, which the gecko licks off with its tongue to drink. Our guide dug until he found one of these fascinating creatures and when uncovered, it immediately froze in defensive mode. After we had a chance to examine the gecko from every angle possible, the guide carefully replaced it in the hole, where it disappeared in a flash. Sidewinder The Sidewinder was a highlight for many on the tour. This venomous viper was well-camouflaged in the sand when our guide first found him. Its body was completely hidden with the exception of its eyes, which peeped out from atop its head. What’s exceptional about these creatures is the way they move – spiraling on their sides in smooth lateral curves. We watched in awe as the snake gracefully undulated up the steep dunes. It kept most of its body off the sand, allowing it to travel over the hot surface without overheating. As an ambush hunter, the Sidewinder remains still, then wiggles its tail to attract its prey. CELEBRATE NATCHITOCHES! Experience Louisiana History & Culture, Music & The Arts Founded in 1714 by Louis Juchereau de St. Denis, Natchitoches is the original French Colony and oldest city in Louisiana, and celebrates a vibrant blend of French, Spanish, African, Native American and Creole cultures. Natchitoches is home to the Cane River Creole National Historical Park, is part of the Cane River National Heritage Area, and is the final destination on the El Camino Real de los Tejas National Historic Trail. The downtown National Historic Landmark District area runs along the banks of Cane River Lake, and features historic sites and buildings, museums, art galleries, specialty boutique shops, restaurants and Bed & Breakfast Inns. April 27: 6th Annual Cane River Plantation Ride - Three routes cover land steeped in the th April 13: 4 Annual Natchitoches Dragon Boat history of Natchitoches Parish and offer Races - Races start at 8am at the newly numerous views of Cane River Lake. Participants renovated downtown Natchitoches riverbank, and families from any route are encouraged to and will continue throughout the day with tour the National Park at Oakland and Magnolia vendors, music and activities for families and plantation at no extra fee. Melrose Plantation is spectators. Spectator admission is free. Info: offering a reduced fee for participants and 337-519-7771. families. April 27: 3rd Annual Cane River Find Your Park Festival - Held at the Oakland Plantation Unit of Cane Rover Creole National Historical Park, the festival will showcase the cultural and natural resources located in the Cane River and Red River regions. Events include hands on activities for children, agricultural demonstrations, and games. May 10-11: 23rd Annual Natchitoches Jazz/R&B Festival Held on the beautiful downtown Natchitoches riverbank, the festival features: 1990s and 2000s hit makers Smash Mouth; Journey tribute band Resurrection; former Bad Company lead singer Brian Howe; South Louisiana R&B artist Cupid & the Dance Party Express Show; New Orleans Funk/Jazz/R&B egend John Papa Gros; local favorites Johnny Earthquake and The Moondogs; Zydeco/R&B legend Keith Frank and the Soileau Zydeco Band; and "the world's greatest Hair Band tribute" LA ROXX. May 31-June 1: Cookin' on the Cane BBQ Fest This annual barbecue competition is organized by the Natchitoches Area Jaycees and is sanctioned by the International Barbeque Cookers Association (IBCA). Centrally located, Natchitoches is just 275 miles from New Orleans, 255 miles from Dallas, Texas, and 290 miles from Little Rock, Arkansas. To learn more about the area’s attractions and events, lodging establishments, shops and restaurants, visit www.Natchitoches.com. June 6-8: Louisiana Sports Hall of Fame Induction - VIP Taste of Tailgating, Round Table Brunch & Induction Banquet. July 26-27: 40th annual Natchitoches-NSU Folk Festival - Held in air-conditioned Prather Coliseum on the Northwestern State University campus. The 2019 Festival theme “Vive la Louisiane!” celebrates the ways in which so many outstanding artists young and old are tapping into the power and artistry of the old ways, revitalizing and reimagining tradition as they make it their own. The folk music of the region will be performed, plus there will be regional material culture crafts and demonstrations. Featured musicians include blues artist Tab Benoit, Cajun artists the Bruce Daigrepont Cajun Band and the Cajun Tradition Band, country artists Gal Holiday and the Honky Tonk Revue, traditional Americana musicians the Rayo Brothers, and Creole la la musicians Goldman Thibodeaux and the Lawtell Playboys. EXPERIENCE HISTORIC SPRINGFIELD, KENTUCKY Music & History, Film & Theatre, Bourbon & More! The seat of Washington County, Springfield is located near the cities of Lexington and Louisville, in central Kentucky’s land of ‘Bourbon, Horses & History’. The city is on the Lincoln Scenic Byway, and being the ancestral home of Abraham Lincoln’s family, is also part of the Kentucky Lincoln Heritage Trail. Springfield is also part of the Kentucky Bourbon Trail, TransAmerica Bicycle Trail, the Barn Quilt Trail and Kentucky Fiber Trail. Boasting four gentle seasons, numerous historic and cultural sites and attractions, a full calendar of events and celebrations, beautiful scenery and plenty of opportunities for nature and outdoor adventures, the area makes for a great destination. May 16-19: 2nd Annual Anacortes Boat & Yacht Show - Held at Cap Sante Marina, this annual event features 250 new and brokerage boats on display in-water, on land, and at nearby boatyards, plus a 10,000 square foot tent of Anacortes is a charming Pacific Northwest getaway located on Fidalgo Island, Washington. It accessories and service providers. It’s the perfect is conveniently situated halfway between Seattle place to start your boating season. Come see the boats and gear; enjoy the food, entertainment and Vancouver BC, and is the destination point and family fun; and begin your boating for the San Juans. The city offers a variety of adventure! places to stay, fresh and local restaurants, relaxing spa treatments, tasty microbrews, June 1-2: Anacortes Waterfront Festival - It’s interesting shops, historic neighborhoods, all about letting out your inner sailor and unique museums, and 2,500 acres of forestlands embracing life on the water! This annual for hiking and biking. Annual Anacortes events Anacortes event has something for everyone: an play up the city’s salt-sprayed surroundings. open-air car show, food vendors, arts and craft Bring the entire family and enjoy June’s booths, children’s activities, giant slides, water Waterfront Festival at Cap Sante Marina. Visit the balls, dinners and dances, live music and Annual Boat & Yacht Show, Bier on the Pier, and entertainment, wine and beer garden, and so much more! the Spring Wine Festival. Exeter, a gateway destination to Sequoia and Kings Canyon National Parks in central California, is known as one of America’s Prettiest Painted Places due to its Downtown Mural Tour. The historic brick buildings make a great surface for the 30+ large murals you will find as you stroll throughout Exeter’s charming downtown district. The murals were painted by professional muralists from all over the country. This unique outdoor gallery reflects the history and culture of this pretty little town. For mural tours and up-to-date event information, please call the Exeter Chamber of Commerce at 559-592-2919 or visit www.ExeterChamber.com. Mark Your Calendars April 13: 5th Annual Exeter Rib Cook-Off Exeter Eagles welcome all to come out and enjoy a great day of fun, refreshments, food and company for all the family! There will be a live music, vendors, games and more. Held 11am6pm at the Exeter Eagles Lodge. April 20: Earth Day, Health & Resource Fair & Easter Egg Hunt - Come join the fun from 9am12pm at Exeter City Park. Info: (559) 352-0819. April 21: Exeter Kiwanis Easter Pancake Breakfast - 7am-10am at the Exeter Veteran's Memorial Building. Info: (559) 592-2919. April 27: Nature “American Spring LIVE” Kid Citizen Science Event - A family-centric event with the purpose of promoting the show “NATURE Spring LIVE” and teaching children about citizen science. The event will feature nature walks, 2 interactive kids citizen science projects, up to 10 community booths and the opportunity to meet Nature Cat from PBS KIDS. A light lunch will be provided for attendees. Held 10am-1pm at Kaweah Oaks Preserve. More at www.SequoiaRiverlands.org May 11: Exeter “Full Bloom 2019” Garden Walk: Come tour and enjoy unique and lovely gardens in and around the Exeter area. Brought to you by the Exeter Chamber of Commerce. For more information and tickets call (559) 592-2919 or visit www.ExeterChamber.com. Have fun piecing together our online jigsaw puzzle of Exeter Mural #32, “Anna’s Flowers” by local artist Christie Caldwell. The mural shows a tranquil scene typically found throughout Exeter’s foothills, featuring native wildflowers such as Lupine, Columbine and Mariposa Lilies, plus, Anna’s Hummingbirds. May 18: A Taste of Julian - A self-guided culinary tour of select shops, restaurants, wineries and breweries. July 4: 4th of July Parade - A traditional hometown parade along Main Street. Come wave your flags, cheer the marching bands, salute the Marine Color Guard, and help carry a giant American Flag down the thoroughfare. Julian Doves & Desperados Historical Skits: Enjoy historic, comedy and gunfight skits in front of the Julian Historical Jail on Sundays at 2 p.m., weather permitting. Free admission. July 27: Sip of Julian - Ten tasting rooms offering samples of their beer, wine, hard cider and craft cocktails, along with small bite food pairings. May 3-5: Julian Wildflower Show - Jewels of the Backcountry is the theme of the long-running show. View local wildflower specimens and a slideshow, meet experts experts, shop for books and more. Held in the Julian Town Hall. For up-to-date event information call (760) 765-1857. GREELEY’S GOT IT GOIN’ ON! Celebrate Culture, Music & The Arts in Greeley, Colorado! Perfectly situated on the high plains with panoramic views of the Rocky Mountains, Greeley offers a small town feel with big city attractions and entertainment, and outdoor adventures. Downtown Greeley is approximately 15 miles east of Interstate 25 and just one hour from Denver. Greeley is a State-certified Creative District that offers great opportunities to interact with Colorado history and to celebrate the arts. Larkin Poe, Mr. Sipp “The Mississippi Blues Child,” Cha Wa, Roy Rogers and the Delta Rhythm Kings, Watermelon Slim, Kara Grainger, Taylor Scott Band, and Mojomama. June 26-July 7: Greeley Stampede – The Stampede’s mission, dating back to the late 1800s, is to celebrate our nation’s independence and preserve our western heritage. That mission plays out in PRCA rodeos, country music and classic rock concerts, daily parades, western art show, carnival and food court. Miss Rodeo Colorado receives her crown during a pageant hosted during the Stampede. More than 250,000 local, national and international guests participate in the Greeley Stampede each year. August 5-8: High Plains Chautauqua – Program scholars bring life to historical and/or literary figures through first-person portrayals, in the largest tent Chautauqua in the nation. Join us under the big tent at Aims Community College. Plan your Greeley adventure at VisitGreeley.org. Presented by Silver City Art Association on May 3-4-5, 2019 in Silver City, New Mexico The weather will be mild, the ceramics warm as they emerge from the kilns, and the glass will be hot as it is shaped and formed. Itâ&#x20AC;&#x2122;s the first weekend in May and its RED DOT Studio Tour time in Silver City, New Mexico. Brochures with maps to all the studios, as well as copies of the Silver City Art Association Art Guide will be available from Light Art Space Gallery at 9 Broadway in downtown Silver City and from the Silver City Visitor Center. Oil and acrylic painters, encaustic artists, metal sculptors, found object artists, jewelers, photographers, weavers, potters, clay sculptors, watercolorists, and woodworkers join for the weekend of May 3-4-5 to share with the public their creative methods and mediums, by opening their private studios. Artists will be working and explaining what they are doing and why. Visitors may also get the chance to participate! Most studios will have work for sale but some will just be open to converse and share. Also at Light Art Space, RED DOT Artists Studio Tour will, for the second year, produce the Studio Tour Gala from 5 pm â&#x20AC;&#x201C; 8 pm on Friday, May 3rd. To help visitors decide what studios to visit, there will be an example of artwork by each participating artist on the Tour at the Gala. These artworks will be on exhibit at Light Art Space all weekend. In addition, images of art by participating Studio Artists will be continuously projected on a THE WALL OF WONDER during the Gala giving art lovers an even more comprehensive idea of the variety of art to be seen at the studios. Enjoy the art while dining on fabulous finger food, beverages (wine or non-alcoholic punch). The $49.95 Silent Auction will return by popular demand – details at the Gala. It’s is an exploration of the world through the eyes of a young child, whose life was defined and enriched by nature that surrounded her. This collection of short stories and insights highlights the wonders of growing up in rural Appalachia, learning to live as one with the land. These stories embrace the universal themes of selfdiscovery, adventure, and finding one's place in a living world. Meet Kamots, the fearless leader. Learn from wise Matsi. Explore the forest with shy Lakota. And watch as adorable pups grow from silly siblings to a devoted pack. TANYA ORTEGA - NATIONAL PARKS ARTS FOUNDATION Tanya Ortega, photographer and founder of the non-profit National Parks Arts Foundation (NPAF), talks about the organizationâ&#x20AC;&#x2122;s unique month long artist-in-residence programs in National Park units like Dry Tortugas, Death Valley, Hawaii Volcanoes, Gettysburg, Chaco and Fort Union. Hear about the submission process and upcoming artist opportunities that are open to artists of all genres, ranging from photographers and filmmakers to poets and painters, musicians and sculptors. PHOTOGRAPHER SARAH WEEDEN IN DEATH VALLEY Photographer Sarah Weeden talks about her month long National Parks Arts Foundation (NPAF) artist-in-residence experience in Death Valley National Park, the hottest and driest place in North America due to its lack of surface water and low relief. Sarah is an artist living in Utah, utilizing photography as a means to raise collective consciousness. She holds a BFA in Photography and an MFA in Visual Studies, and has been teaching college-level photography courses for the past ten years. Watch Anthony perform Kid Gunner Brother (solo version, 2019) by Darian Donovan Thomas. GRAND CANYON MOVIES As one of the Seven Natural Wonders of the World, the Grand Canyon has been host to some of the biggest blockbuster movies that have ever been filmed. With breathtaking scenic views, various hiking terrains, unpredictable weather and miles of wilderness, the enormous canyon proves to be the perfect backdrop for a wide range of movie genres. Unless you have visited the Augustus SaintGaudens National Historic site you may not be aware of one of the most prolific and revered American sculptors of the 19th and early 20th centuries; a great artist who was not too proud to also design a one cent stamp and who accepted a commission to design a penny honoring President Lincoln. His world and his art expanded when he went to Paris in 1867 at age 19 to study at the École des Beaux-Arts. Classical design and copying Greek and Roman figure work were stressed at this school. It was a good fit for Saint-Gaudens experience with his cameo background. Except now he worked in different materials on larger projects. Augustus Saint-Gaudens was brought to the United States, as a baby, by his immigrant parents. Although he died at the relatively young age of 59, he produced a prolific amount of sculpture in his lifetime. His career began at age 13 when he apprenticed himself for two years to a man who carved cameos, then apprenticed to another cameo carver for several more years while he also studied at the National Academy of Design. The attention to detail and the skill required for carving such small relief sculptures out of delicate, layered cameo materials such as agate and certain shells taught him patience and a desire for accuracy. In 1870 Saint-Gaudens went to Rome to study art and architecture. While there he met Augusta Homer, another American art student who he married in 1877. His wife was a distant cousin of artist Winslow Homer. Saint-Gaudens specialized in portrait busts and did classical figures, but is best known for monumental public sculptures of statesmen and military heroes. His reputation for excellence began when he produced a sculpture of Civil War Admiral David Farragut whose bravery had been expressed by his famous attributed quote, “Damn the torpedoes, full speed ahead”! Saint-Gaudens began working on the Farragut Memorial while still in Paris. It took him seven years to complete the modeling and casting before the statue was unveiled in 1881 in New York’s Madison Square Park. The Civil War produced numerous military heroes whose admirers wanted them honored with a statue, thus making Saint-Gaudens in great demand. In addition, Saint-Gaudens sculptures of President Abraham Lincoln are in numerous locations. His friend, the architect Stanford White, designed many of the pedestals and architectural surrounds for his sculptures. Many people think his greatest work was one of his equestrian sculptures, a high relief bronze sculpture, the Robert Gould Shaw Memorial, depicting the abolitionist General Shaw with his command, the first company of all black soldiers, the 54th Massachusetts Regiment. SaintGaudens used photographs to be faithful to the features of Shaw but used a different live model for each soldier as it was his goal they all be seen as individuals. Overhead, in alignment with the marching group, is the depiction of an angel in classically modeled flowing garments, guiding them. 1907 Roman numeral ultra high relief double eagle coin. Saint-Gaudens' design Saint-Gaudens Continued They were struck by the mint but were not able to be stacked as coins needed to be because the relief was too high. Another series of coins with the same design in lower relief was attempted with limited success. Only a little over 12,000 of those coins were minted. Finally, a very low relief coin was produced and continued to be minted until 1933 when the price of gold increased to $35.00 an ounce. As far as is known there is only one of these coins owned privately and it was sold in 2002 for over 7.5 million dollars. Saint-Gaudens accepted the commission to design the one cent coin honoring Lincolnâ&#x20AC;&#x2122;s 100th Anniversary at the same time he was awarded the contract for designing the gold coins but passed away before he could complete the design of the penny coin. Augustus Saint-Gaudens continued to work as the cancer weakened him. In the last year of his life he produced another statue of President Lincoln placed in Chicago's Grant Park. Although Saint-Gaudens completed the design work and had begun casting the statue at the time of his deathâ&#x20AC;&#x201D;his workshop completed it. The head of the statue was used as the model for the Lincoln portrait on the penny postage stamp issued commemorating the 100th anniversary of Lincoln's birth. On 14 February 1912, after nearly 50 years of being a territory, Arizona became the last of the contiguous 48 states to join the Union. The Arizona Territory was created on 24 February 1863 from the western half of New Mexico Territory. Later, on 18 January 1867, the northwest corner of Arizona was removed and given to Nevada. Arizona has 15 counties with the capital city being Phoenix. If you are looking for family history in Arizona, begin learning about the records on the FamilySearch.org Research Wiki Arizona, United States Genealogy page. It is filled with links to articles, research strategies, information on locating birth, marriage, and death records. There is specific information for each county in Arizona. There are also several links for details on Arizona migration routesâ&#x20AC;&#x201D;such as the Juan Bautista de Anza Trail, the Old Spanish Trail, the Honeymoon Trail, and more. Arizona Historical Society 949 East 2nd Street Tucson, Arizona 85719 Web: https://arizonahistoricalsociety.org Arizona State University Library Luhrs Reading Room, Level 4 ASU Charles Hayden Library 300 East Orange Mall Tempe, Arizona 85281 Web: https://lib.asu.edu/hayden (Note: due to Hayden Library renovation, some services have been relocated. Please check their website for details.) The David Rumsey Map Collection holds some historic maps that may be of interest. There is no charge to use this site. https://www.davidrumsey.com Holly T. Hansen aka “Miss Holly GenTeacher,” is the President and Founder of Family History Expos, Inc, and as an author, lecturer, editor, and publisher, has been instrumental in helping thousands understand the principles, strategies, and sources they can use to trace their roots in today’s everchanging technological environment. We are creatures of habit and we all have our daily routines. Morning routines, bedtime routines, work, play and family routines. Imagine my chagrin when, hours later, I found myself sitting on my knapsack on the train because there were not enough seats for all of us in Second Class. I hadn’t known one paid for First Class to assure a seat. I felt stupid and angry. I resented my husband for not telling me. He didn’t want to pay the extra money. I wasn’t good company for a while. I grumbled. It took some time before I could enjoy the landscape through which we were riding. If you want to enjoy the trip, don’t be a difficult traveler. A difficult traveler is one who reacts negatively to differences. Often when we find something different, we become alarmed, maybe fearful, and it is easy to feel angry. An angry traveler is a difficult traveler and it makes us unhappy as well as those around us. I wasn’t actually rude to anyone but I wanted to be. I wasn’t as open to something different as I had hoped I would be. I resolved to feel good about the view and appreciate the differences in the countryside. How to be comfortable with all the differences? Examine your daily patterns and identify what items will feel familiar if you take them with you. Don’t rush out and buy everything new for the trip. Take clothes and shoes (maybe a robe or sweater) in which you feel totally comfortable and reassured. Make sure they are familiar so you can rely on something not being different. If you are traveling this summer, consider if you are a difficult traveler. Be open to differences. If you are in a foreign country, food will taste different. MacDonald hamburgers will not taste the same as they do at home and complaining about this only puts you and your servers in a bad mood. If you are still in the USA, you will find food is cooked differently in different regions. I remember being startled that French Toast is made with French bread in the south. It was a surprise but not unwelcome. Anticipate that food will taste different. What to do? Expect everything to be different. When it’s not, you can be surprised. Change your current routines for a while – try experiencing the discomfort of change without a negative reaction. Take a different route to work, try a different process in the morning, maybe new restaurants and new forms of recreation. Learn a new skill and enjoy the discomfort of the differences. Difficult Traveler Continued… When I was in Great Britain with my family, I was confused by their coinage system and frustrated that my son found it simple. I don’t trust my computation skills and I felt angry. Our solution was to create a game on the ferry ride to the Isle of Man: “Teach Mommy about English coins.” My husband and son tested me, making up different amounts of purchases and inviting me to make change. For encouragement, they applauded me for a wrong answer as much as they did for the right one. The other passengers were intrigued and got involved. They gave me hints and suggestions of memory tricks. We laughed often and I felt as if everyone was cheering me on. It worked. It was fun. I wasn’t confused on the rest of the trip and shopped with confidence. Look at each experience as an opportunity for pleasure. Imagine the curiosity of a child and imitate that approach when things are different. Try out the reaction: “Oh, how interesting,” instead of “Ick; how weird.” Look for ways to make things a game, “How many differences can we find today?” Take pictures of your favorites. British currency At the end of the day, write down “Which difference did you like best?” Collect them. Instead of being a difficult traveler, have some fun by being a traveler who seeks differences. Enjoy them. Sarah H. Elliston is the author of “Lessons from a Difficult Person – How to Deal With People Like Us”. She is a faculty member of the William Glasser Institute and is a workshop leader and trainer who is certified in Values Realization, Parent Effectiveness Training and Reality Therapy. For more about Reality Therapy and to read Sarah’s blog, visit www.SarahElliston.com. HEART HEALTHY TRAVEL Listen to the Big Blend Radio interview with Dr. Jacqueline Eubany who shares her Heart Healthy Travel Tips as listed below. Here are 5 quick travel tips to for those with chronic medical conditions to allow for smooth, and easy transition. - Always have your medications with you in your carry on, to ensure that you can continue taking your medications on a regularly timed schedule and not have to worry if your checked luggage is lost or delayed. - For long flights, I recommend getting up now and then, and walking up and down the aisle to prevent development of blood clots in your legs. Listen to his interview podcast above, and read How they Impact the Tourism and Hospitality his article on BlendRadioandTV.com. Industries. In 1990, Congress passed the Americanâ&#x20AC;&#x2122;s with Disability Act, more popularly known as the ADA. In 1992, the California Assembly amended the Fair Employment and Housing Act (FEHA) to reflect, and build upon, the law in the ADA. In fact, FEHA defined disability more broadly than the ADA and even said that all disabilities covered under the ADA would also be considered disabilities under FEHA. San Diego employment attorney Ward Heinrichs talks with Big Blend Radio about Federal and California disability discrimination laws covered under the Americanâ&#x20AC;&#x2122;s with Disability Act (ADA) and Fair Employment and Housing Act (FEHA). Take “ownership” of your community with positive and responsible actions. To realize the benefits of responsible tourism, i.e. jobs and money, a community has to come together and solve any problems that may stand in the way of visitors coming into a town or city. The quickest way to do that is for citizens to step up. Waiting for government entities is not nearly as quick or as effective as private citizens working together for the betterment of where they have chosen to live, work and play. Neighborhood associations and non-profit organizations are great places to gather information on what is being, and what can be done, to better a destination. Working with others opens doors to all sorts of opinions and aspects of any problems and their possible solutions. Being involved leads to having a say in how a town or city handles the influx of guests and what those guest expect to experience. Events are often a draw to a town or city, and being involved in the planning and executing of festivals, street fairs and other events, is a smart way to meet and talk with visitors to see how they feel about your city or town. What do they like? Why do they visit? What possible changes would they like to see made? This kind of feedback is invaluable and can often lead a destination to new ideas on how to better promote themselves. Knowing what your community has to offer is crucial. It means looking at your community from all angles. What are the attractions, amenities, the history and the infrastructure strengths and weaknesses? Gather accurate information from several sources and viewpoints to ensure any decisions made, will be for the benefit of all, not just a few. Change is often met with opposition where there is lack of communication, accurate facts, and/or inclusiveness. Involving youth ensures the longevity of communities. Communities will always need young, talented, active participants and the tourism industry sets a mixture of businesses and careers in front of them. Their involvement will bring new ideas to projects and at the same time shows them what citizenship is all about. Ownership Continued… Taking ownership by participating in the direction a town or city takes, especially in regards to tourism, usually means belonging to organizations, attending meetings, being active with others (including social media), and reaching out to invite others join in the efforts. While identifying and finding solutions for town or city short-comings, it is important to stay positive about your community. Speak positively about your community and take opportunities to politely correct any misinformation you may hear or read. Volunteering to help where you can be of assistance in solving problems within your own area of expertise, is always welcomed. Small businesses are the cornerstone of any community and supporting them is critical to the success of any town or city. Be an ambassador for your town by shopping and dining local, attending events and encouraging guests to visit. As with all efforts, they take time and there can be set-backs. From funding issues to difference of opinions to dealing with government issues, things can and will take time. Sometimes you may need to re-visit proposed and/or implemented strategies and find new and creative ways to do things. From America’s National Parks to Japan, world traveler and travel writer Kristin Henning talks with Big Blend Radio about responsible and sustainable tourism practices. After a 30-year career in publishing, Kris–along with her husband and business partner Tom Bartel–shed the last publication, the big family house, and most of their possessions. In 2010, they gave their dog to their daughter and set out on a journey to see the world. After a year in South America and a month walking the Camino de Santiago, Kris and Tom decided to combine their separate, casual blogs to create www.TravelPast50.com. The blog combines Kris and Tom’s love of culture and passion for the outdoors. Their travels vary between long stays in such cultural cities as London, Barcelona, Rome, and Beijing, detours to UNESCO World Heritage Sites, and spurts of hiking or biking in Europe, Australia, Asia, or the United States National Parks. Since 2010, they've visited over 65 countries on 6 continents.